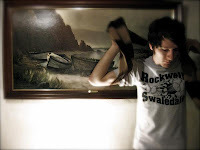 After selling over a million copies of Ocean Eyes, Adam Young (better known as Owl City) is planning to retreat into the studio to prepare a sophomore record. However, don't think he's going to be sitting around for long. By the first week of August, Owl City will be hitting the road with Maroon 5 and then shortly thereafter with John Mayer (neither one of those make much sense to us). The full list of tour dates is listed after the jump. It's almost Adam Young's Birthday! That means Hoot Owls worldwide want to say HAPPY BIRTHDAY ADAM! So... We're working in a project to give Adam a Birthday Gift! We'll do a poster with photos of every hoot owl that send us pictures wishing Hbday to Adam! Plz if you can, REBLOG IT!! !